Background: Setting up and using XPM for fixed fee jobs. In XPM, the method for measuring Work In Progress (WIP) is for you and your staff to log the hours worked against a set of tasks within a job. In an hourly billing model, this is really easy; You measure the amount of hours it took to complete a task and generate an invoice in order to get paid. Profitability is typically measured through the P&L at the end of the year, and usually at a practice-wide level. However, firms are now adopting fixed fees as the pricing methodology for their practice, which enables scalability and fairer pricing methods for the customer. So how do you use XPM, a tool originally designed for hourly billing, to measure efficiency on a service by service basis, and profitability of a specific job, rather than having to wait for the end of year P&L to know where you stand? 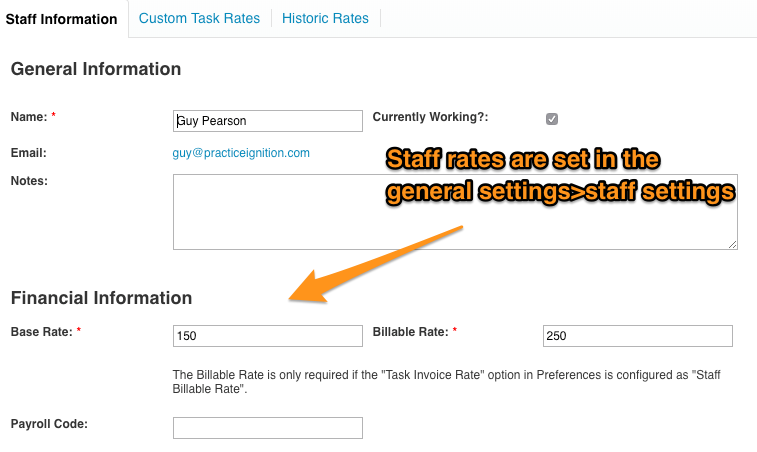 First, You will want to define the base and billable rates for each of your staff members, so that you can determine the time-cost of each team member working on a job. Next, you need to clearly define the scope of services for each job you do, which translates into XPM job templates, including tasks. Then, you need to estimate the time it would take to complete those tasks, which translates to the time budget for each task in XPM. The good news is you can set these at the job template level, giving you consistency across your client base. Now you are ready to start using jobs in XPM. Enter Practice Ignition. PI creates the job (or jobs) in XPM on your behalf, including the tasks, to-do's and milestones based on your job templates. 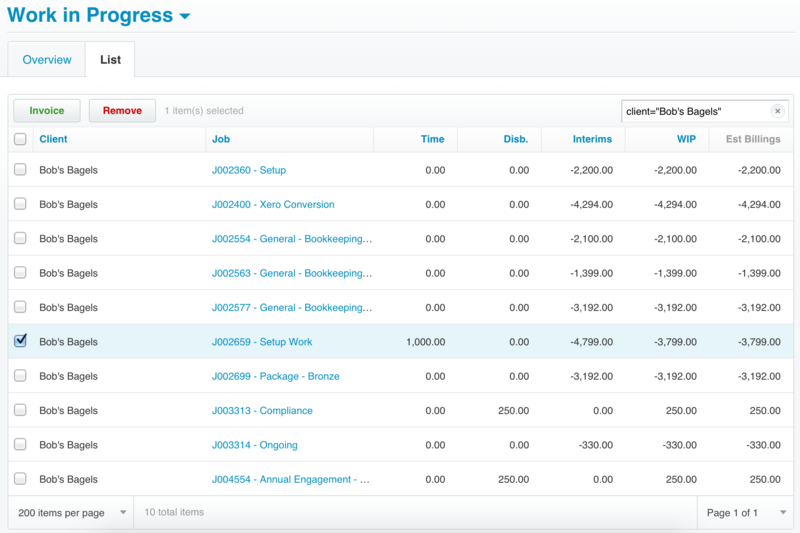 PI also creates your fixed fee (both non-recurring and recurring) invoices directly in Xero. Now here's the kicker. Fixed fee services are most commonly billed before the work is complete. As a result, in most circumstances, you will carry a positive cash balance for each client that has been billed upfront. In XPM this translates to an interim payment and a negative WIP balance. Why negative? Because this translates to the amount of billable work (in the form of a dollar figure) you've "committed to" but not completed. Furthermore, you need to know how much has been collected versus how much time has been logged against the WIP in order to understand if your job is profitable. Once you get started on the work you need to ensure your staff are logging time for the purposes of efficiency tracking and not for the purpose of billing! if you've completed the job and you have a negative WIP balance, you have achieved "super profit". That is, you've achieved a profit on the hours written up + the paid-for time your team didn't need to use. if you've completed the job and you have a $0 WIP balance, you were on target and the margin built into your write up hours is maintained. if you've completed the job and you have positive WIP balance, you were below your target and you've even potentially achieved a loss on the job. The last screenshot shows us the total for the practice as a whole, but how do we now get the answer to this question at a specific job level, and have a "final" number for reporting purposes? Read below. Invoices that flow into Xero Practice Manager (XPM) against a client or job (specific or adhoc) from Xero, can be brought into a final invoice along with all related jobs to wash up the WIP and create a write on or write off. The purpose of this process is to measure the profitability of your jobs when invoicing on a fixed fee basis. See here for XPM's written steps for writing on/off bundled items. Below is how we see things working when you have PI Invoices being created and imported into Xero Practice Manager/WorkflowMax. When you create your proposal in Practice Ignition, you can choose to create multiple jobs to then deploy into XPM. When you have more than one job, you'll need to decide which job should be your "billing job". In other words, Which job would you like your invoices connected to in XPM. 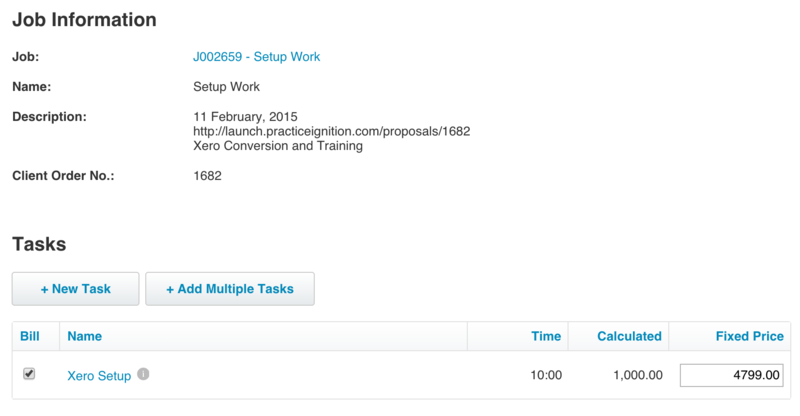 You need to ensure that your connection from XPM to Xero is set up correctly in XPM so the invoices flow back through. 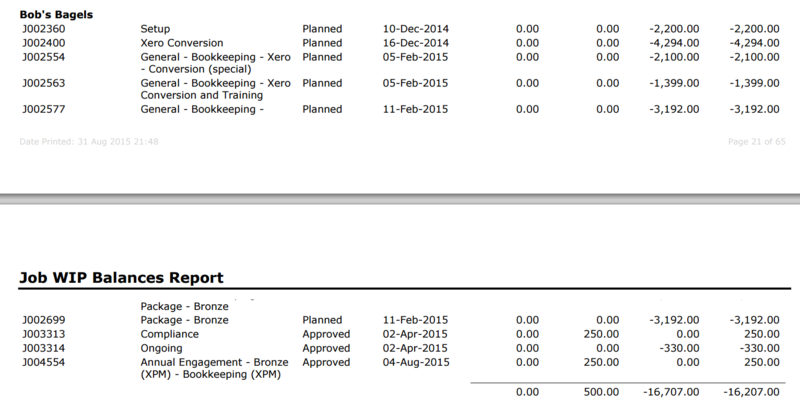 Go to Business > Settings > Xero and ensure that "Automatically import invoices from Xero" is ticked. Next up, go to the Work in Progress ledger and choose the WIP balances you want to clean up. You can select more then one to clean up at once. Now, click the Invoice button at the top and select the WIP invoice and a final invoice for the period you are looking to close. NOTE: If you only have one job per client, select "Grouped by" as Job. If you have multiple jobs for one client in a given year, then you are better off selecting "Client". This will create one single WIP invoice vs multiple WIP invoices (one for each job). Now your invoice has been created and you can click through to it from the message below that is created. Choose Fixed Price toggle on the invoice screen. 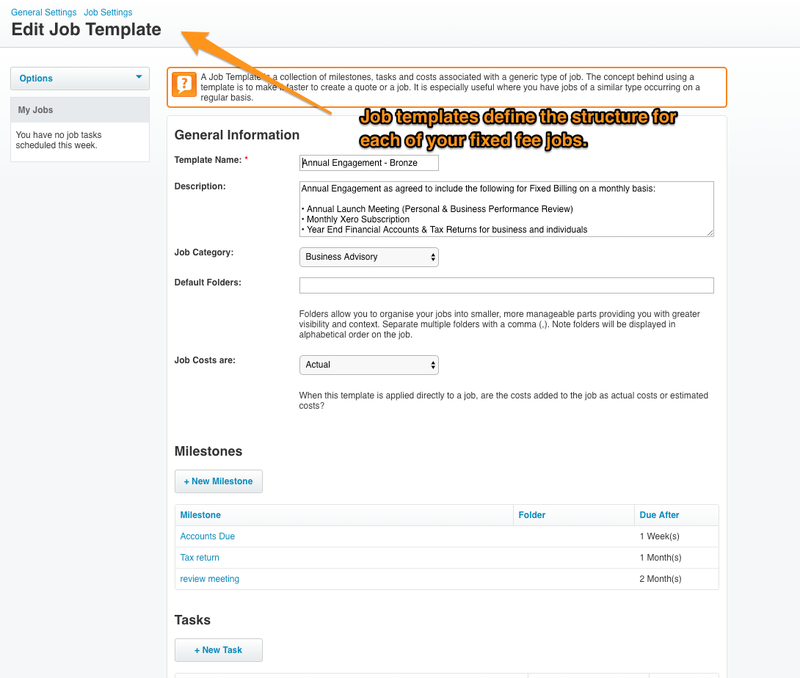 Now, scroll down to the job in question and look and adjust the price of the task where the write up is to be applied. This will result in the difference being applied to the write-on / off column of the invoice summary. 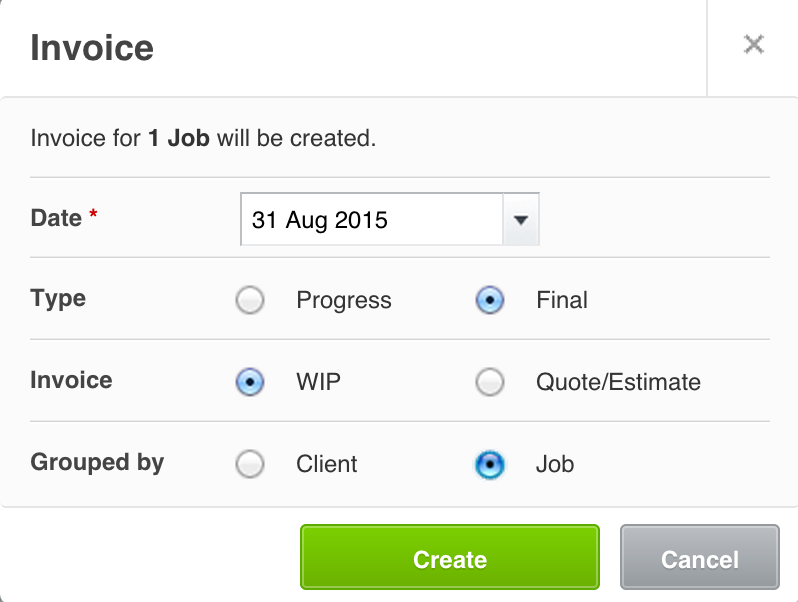 Now, all you need to do is click Approve and your WIP will be tidied up for the periods in question. At this point an invoice will be created in your Xero account. However it will be an approved, $0 invoice that is marked as paid, so it will not be delivered to your client as an invoice. We strongly recommend washing up your WIP around the key milestones of delivering your core services. For example, if you primarily deliver monthly services, wash up your WIP monthly. If you do quarterly services, wash it up quarterly. The only exception to this rule is one-off projects, which you should wash up at the end of the project. The golden rule here: better to know your/your teams' mistakes sooner than continuing to repeat them over and over! This is a helpful report for seeing how much each of your team members are contributing to your firms profitability (or not!). Click the filters you wish to refine the data, timeframe, staff members etc. Then print the report. You can also look at the Practice Management Report at the bottom of the reports page. The Fees and write on/off report is a great report to understand where you sit for the month after closing off the jobs. In XPM still, go to Reports > All Reports > Job WIP Balances Report. Select today's date and then click on Print. Every job that is completed in this report has outstanding WIP. 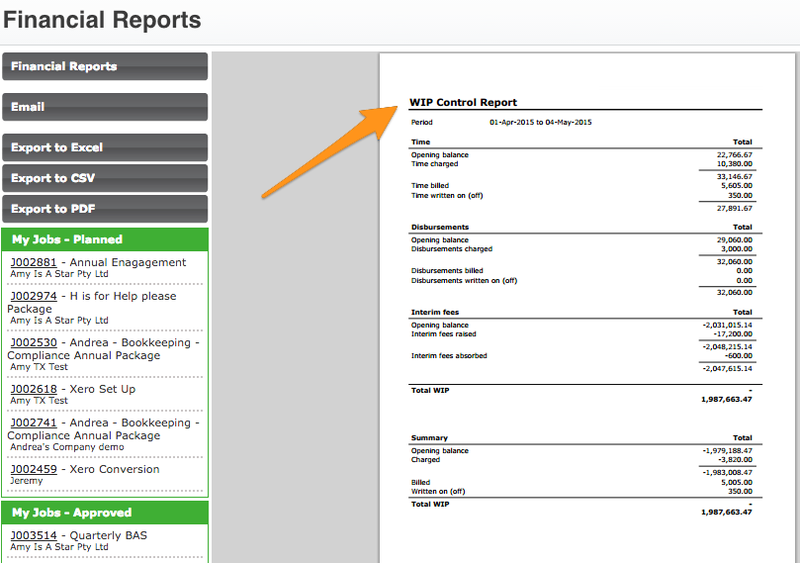 A report to help you understand your WIP position can be found by clicking on Reports > All Reports > WIP Control Report. Set your dates and print the report. This will give you the details of your WIP position.